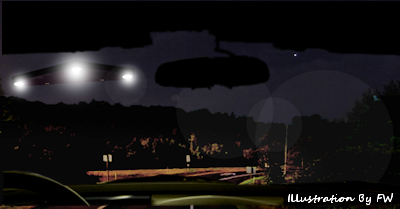 Maine witnesses at Augusta who had just left I-95 north at exit 109 reported watching a hovering triangle UFO under 500 feet that made no sound about 8 p.m. on September 7, 2014, according to testimony in Case 59680 from the Mutual UFO Network (MUFON) witness reporting database. The witness described the object’s color. The entire family was witness to the event. . . .